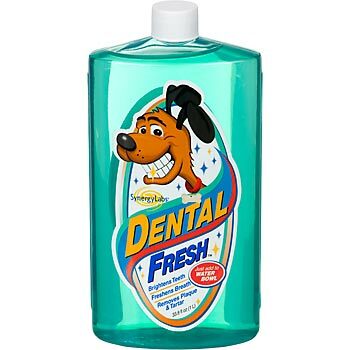 Formulated with stabilized Chlorine Dioxide to kill the bacteria that cause bad breath, tartar and plaque. Completely safe and effective for Dogs and Cats. 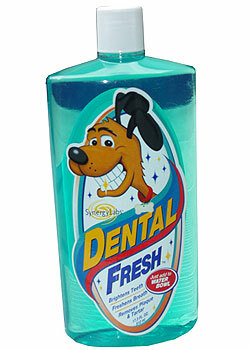 Effectively brightens teeth with proven whitening agents. Daily use is recommended. 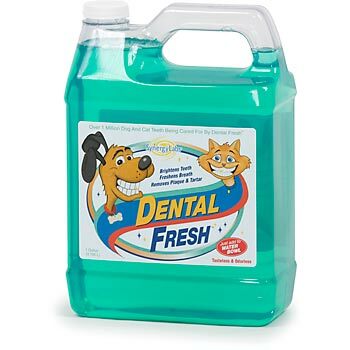 Add 1 teaspoon (capful) of Dental Fresh to 8 ounces of drinking water.